तमिळ लोक किंवा तमिळ माणसं Tamil people (तमिळ: தமிழர், तमिळर्)also called Tamils or Tamilians, are a linguistic group native to Tamil Nadu, a state in India and the north-eastern region of श्रीलंका. They speak Tamil (தமிழ்), with a recorded history going back two millennia. Emigrant communities are found across the world, notably Malaysia, Canada, Singapore, and the UK. The Tamils are mostly Hindus with sizable Christian and Muslim populations. It is unknown as to whether the term Tamilar and its equivalents in Prakrit such as Damela, Dameda, Dhamila and Damila was a self designation or a term denoted by outsiders. Epigraphic evidence of an ethnic group termed as such is found in ancient Sri Lanka where a number of inscriptions have come to light datable from third to first century BCE mentioning Damela or Dameda persons. In the well-known Hathigumpha inscription of the Kalinga ruler Kharavela, refers to a Tramira samghata (Confederacy of Tamil rulers) dated to 150 BCE. It also mentions that the league of Tamil kingdoms had been in existence 113 years before then. In Amaravati in present day Andhra Pradesh there is an inscription referring to a Dhamila-vaniya (Tamil trader) datable to the third century CE. Another inscription of about the same time in Nagarjunakonda seems to refer to a Damila. A third inscription in Kanheri Caves refers to a Dhamila-gharini (Tamil house-holder). In the Buddhist Jataka story known as Akiti Jataka there is a mention to Damila-rattha (Tamil country). Hence it is clear that by at least the third century BCE, the ethnic identity of Tamils has been formed as a distinct group. Tamilar is etymologically related to Tamil, the language spoken by Tamil people. Southworth suggests that the name comes from tam-miz > tam-iz 'self-speak', or 'one's own speech'. Zvelebil suggests an etymology of tam-iz, with tam meaning "self" or "one's self", and "-iz" having the connotation of "unfolding sound". Alternately, he suggests a derivation of tamiz < tam-iz < *tav-iz < *tak-iz, meaning in origin "the proper process (of speaking)." Various legends became prevalent after the tenth century CE regarding the antiquity of the Tamil people. According to Iraiyanar Agapporul, a tenth/eleventh-century annotation on the Sangam literature, the Tamil country extended southwards beyond the natural boundaries of the Indian peninsula comprising 49 ancient nadus (divisions). The land was supposed to have been destroyed by a deluge. The Sangam legends also added to the antiquity of the Tamil people by claiming tens of thousands of years of continuous literary activity during three Sangams. Grey pottery with engravings, Arikamedu, 1st century CE. From around the third century BC onwards, three royal dynasties—the Cholas, the Cheras and the Pandyas—rose to dominate the ancient Tamil country. Each of these dynasties had its own realm within the Tamil-speaking region. Classical literature and inscriptions also describe a number of Velirs, or minor chieftains, who collectively ruled over large parts of central Tamil Nadu. Wars between the kings and the chieftains were frequent, as were conflicts with ancient श्रीलंका. These wars appear to have been fought to assert hegemony and demand tribute, rather than to subjugate and annex those territories. The kings and chieftains were patrons of the arts, and a significant volume of literature exists from this period. The literature shows that many of the cultural practices that are considered peculiarly Tamil date back to the classical period. Agriculture was important during this period, and there is evidence that irrigation networks were built as early as 2nd century AD. Internal and external trade flourished, and evidence exists of significant contact with Ancient Rome. Large quantities of Roman coins and signs of the presence of Roman traders have been discovered at Karur and Arikamedu. There is also evidence that at least two embassies were sent to the Roman Emperor Augustus by Pandya kings. Potsherds with Tamil writing have also been found in excavations on the Red Sea, suggesting the presence of Tamil merchants there. An anonymous first century traveler's account written in Greek, Periplus Maris Erytraei, describes the ports of the Pandya and Chera kingdoms in Damirica and their commercial activity in great detail. Periplus also indicates that the chief exports of the ancient Tamils were pepper, malabathrum, pearls, ivory, silk, spikenard, diamonds, sapphires, and tortoiseshell. The classical period ended around the fourth century AD with invasions by the Kalabhra, referred to as the kalappirar in Tamil literature and inscriptions. These invaders are described as evil kings and barbarians coming from lands to the north of the Tamil country. This period, commonly referred to as the Dark Age of the Tamil country, ended with the rise of the Pallava dynasty. According to Clarence Maloney, during the classical period Tamils also settled the Maldive Islands. Although the Pallava records can be traced from the second century AD, they did not rise to prominence as an imperial dynasty until the sixth century. The dynasty does not appear to have been Tamil in origin, although they rapidly adopted the local culture and the Tamil language. The Pallavas sought to model themselves after great northern dynasties such as the Mauryas and Guptas. They therefore transformed the institution of the kingship into an imperial one, and sought to bring vast amounts of territory under their direct rule. The Pallavas were followers of the Hinduism, though for a short while one of their kings embraced Jainism and later converted to Hinduism. The Bhakti movement in Hinduism was founded by Tamil saints at this time, and rose along with the growing influence of Jainism and Buddhism. The Pallavas pioneered the building of large, ornate temples in stone which formed the basis of the Dravidian temple architecture. The Pallava dynasty was overthrown in the 9th century by the resurgent Cholas. 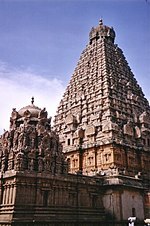 The Cholas become dominant in the 10th century and established an empire covering most of southern India and Sri Lanka. The empire had strong trading links with China and Southeast Asia. The Cholas' navy conquered the South Asian kingdom of Sri Vijaya in Sumatra and continued as far as Thailand and Burma. Chola power declined in the 12th and 13th centuries, and the Pandya dynasty enjoyed a brief period of resurgence thereafter during the rule of Sundara Pandya. However, repeated Muslim invasions from the 15th century onwards placed a huge strain on the empire's resources, and the dynasty came to an end in the 16th century. No major empires arose thereafter, and parts of Tamil Nadu were for a while ruled by a number of different local chiefs, such as the Nayaks of the modern महाराष्ट्र (see Serfoji II) and Andhra Pradesh regions. From the 17th century onwards, European powers began establishing settlements and trading outposts in the region. A number of battles were fought between the British, French and Danish in the 18th century, and by the end of the 18th century most of Tamil Nadu was under British rule. There is little scholarly consensus over the presence of the Tamil people in Sri Lanka, also known as Eelam in early Tamil literature, prior to the medieval Chola period (circa 10th century AD). One theory states that there was not an organized Tamil presence in Sri Lanka until the invasions from what is now South India in the 10th century AD; another theory contends that Tamil people were the original inhabitants of the island. The indigenous Veddhas are physically related to Dravidian language-speaking tribal people in South India and early populations of Southeast Asia, although they no longer speak their native languages. It is believed that cultural diffusion, rather than migration of people, spread the Sinhalese and Tamil languages from peninsular India into an existing Mesolithic population, centuries before the Christian era. Settlements of people culturally similar to those of present-day Sri Lanka and Tamil Nadu in modern India were excavated at megalithic burial sites at Pomparippu on the west coast and in Kathiraveli on the east coast of the island, villages established between the 5th century BC and 2nd century AD. Cultural similarities in burial practices in South India and Sri Lanka were dated by archeologists to 10th century BC. However, Indian history and archaeology have pushed the date back to 15th century BC, and in Sri Lanka, there is radiometric evidence from Anuradhapura that the non-Brahmi symbol-bearing black and red ware occur at least around 9th or 10th century BC. Potsherds with early Tamil writing from the 2nd century BC have been found in excavations in Poonagari, Jaffna, bearing several inscriptions including a clan name - vela, a name related to velir from ancient Tamil country. There is epigraphic evidence of people identifying themselves as Damelas or Damedas (the Prakrit word for Tamil people) in Anuradhapura, the capital city of Rajarata, and other areas of Sri Lanka as early as the 2nd century BC. Historical records establish that Tamil kingdoms in modern India were closely involved in the island's affairs from about the 2nd century BC. In Mahavamsa, a historical poem, ethnic Tamil adventurers such as Elara invaded the island around 145 BC. Tamil soldiers from what is now South India were brought to Anuradhapura between the 7th and 11th centuries AD in such large numbers that local chiefs and kings trying to establish legitimacy came to rely on them. By the 8th century AD there were Tamil villages collectively known as Demel-kaballa (Tamil allotment), Demelat-valademin (Tamil villages), and Demel-gam-bim (Tamil villages and lands). Coylot Wanees Contrey (Coylot Vanni country), Malabar country in the northeast of the island on a 1692 CE Dutch engraving of Robert Knox' 1682 CE map as published in his book. In the 9th and 10th centuries AD, Pandya and Chola incursions into Sri Lanka culminated in the Chola annexation of the island, which lasted until the latter half of the 11th century CE. The decline of Chola power in Sri Lanka was followed by the restoration of the Polonnaruwa monarchy in the late 11th century AD. In 1215, following Pandya invasions, the Tamil-dominant Arya Chakaravarthi dynasty established an independent Jaffna kingdom on the Jaffna peninsula and parts of northern Sri Lanka. The Arya Chakaravarthi expansion into the south was halted by Alagakkonara, a man descended from a family of merchants from Kanchipuram in Tamil Nadu. He was the chief minister of the Sinhalese king Parakramabahu V (1344–59 AD). Vira Alakeshwara, a descendant of Alagakkonara, later became king of the Sinhalese, but he was overthrown by the Ming admiral Cheng Ho in 1409 AD. The Arya Chakaravarthi dynasty ruled over large parts of northeast Sri Lanka until the Portuguese conquest of the Jaffna Kingdom in 1619 AD. The coastal areas of the island were taken over by the Dutch and then became part of the British Empire in 1796 AD. The English sailor Robert Knox described walking into the island’s Tamil country in the publication An Historical Relation of the Island Ceylon, annotating some kingdoms within it on a map in 1681 CE. Upon arrival of European powers from the 17th century CE, the Tamils' separate nation was described in their areas of habitation in the northeast of the island. The caste structure of the majority Sinhalese has also accommodated Hindu immigrants from South India since the 13th century AD. This led to the emergence of three new Sinhalese caste groups: the Salagama, the Durava and the Karava. The Hindu migration and assimilation continued until the 18th century AD. British colonists consolidated the Tamil territory in southern India into the Madras Presidency, which was integrated into British India. Similarly, the Tamil parts of Sri Lanka joined with the other regions of the island in 1802 to form the Ceylon colony. They remained in political union with India and श्रीलंका after their independence, in 1947 and 1948 respectively. When India became independent in 1947, Madras Presidency became the Madras State, comprising present-day Tamil Nadu, coastal Andhra Pradesh, northern केरळ, and the southwest coast of Karnataka. The state was subsequently split along linguistic lines. In 1953, the northern districts formed Andhra Pradesh. Under the States Reorganization Act in 1956, Madras State lost its western coastal districts. The Bellary and South Kanara districts were ceded to Mysore state, and केरळ was formed from the Malabar district and the former princely states of Travancore and Cochin. In 1968, Madras State was renamed Tamil Nadu. There was some initial demand for an independent Tamil state following the adoption of the federal system. However, the Indian constitution granted significant autonomy to the states, and protests by Tamils in 1963 led to the government adopting a new policy called the "three language formula". This has led to Tamils in India becoming increasingly satisfied with the federal arrangement, and there is very little support for secession or independence today. In Sri Lanka, however, the unitary arrangement led to a growing belief among some Tamils of discrimination by the Sinhalese majority. This resulted in a demand for federalism, which in the 1970s grew into a movement for an autonomous Tamil country. The situation deteriorated into civil war in the early 1980s. A ceasefire in effect since 2002 broke down in August 2006 amid shelling and bombing from both sides. Today Tamils make up 18% of Sri Lanka's population (3.8 Million). Most Indian Tamils live in the state of Tamil Nadu. Tamils are the majority in the union territory of Pondicherry, a former French colony. Pondicherry is a subnational enclave situated within Tamil Nadu. Tamils account for at least one-sixth of the population in Andaman and Nicobar Islands. There are also Tamil communities in other parts of India. Most of these have emerged fairly recently, dating to the colonial and post-colonial periods, but some—particularly the Hebbar and Mandyam Tamils of southern Karnataka (2.9 million), पुणे, महाराष्ट्र (1.4 million), Andhra Pradesh (1.2 million), Palakkad in केरळ (0.6 million), and Delhi (0.1 million) — date back to at least the medieval period. There are two groups of Tamils in Sri Lanka: the Sri Lankan Tamils and the Indian Tamils. The Sri Lankan Tamils (or Ceylon Tamils) are descendants of the Tamils of the old Jaffna Kingdom and east coast chieftaincies called Vannimais. The Indian Tamils (or Hill Country Tamils) are descendants of bonded laborers sent from Tamil Nadu to Sri Lanka in the 19th century to work on tea plantations. Furthermore, there is a significant Tamil-speaking Muslim population in Sri Lanka; however, unlike Tamil Muslims from India, they are not ethnic Tamils and are therefore listed as a separate ethnic group in official statistics. Most Sri Lankan Tamils live in the Northern and Eastern provinces and in the capital कोलंबो, whereas most Indian Tamils live in the central highlands. Historically both groups have seen themselves as separate communities, although there is a greater sense of unity since 1980s. In 1949, the United National Party government, which included G. G. Ponnambalam, leader of the Tamil Congress, stripped the Indian Tamils of their citizenship. This was opposed by S. J. V. Chelvanayakam, the leader of Tamil nationalist Federal Party, and most Tamil people. Significant Tamil emigration began in the 18th century, when the British colonial government sent many poor Tamils as indentured labourers to far-off parts of the Empire, especially Malaya, South Africa, Fiji, Mauritius and the Caribbean. At about the same time, many Tamil businessmen also immigrated to other parts of the British Empire, particularly to Burma and East Africa. Many Tamils still live in these countries, and the Tamil communities in Singapore, Reunion Island, Malaysia and South Africa have retained much of their culture and language. Many Malaysian children attend Tamil schools, and a significant portion of Tamil children in Mauritius and Reunion are brought up with Tamil as their first language. In Singapore, Tamil students learn Tamil as their second language in school, with English as the first. To preserve the Tamil language, the Singapore government has made it an official language despite Tamils comprising only about 5% of the population, and has also introduced compulsory instruction of the language for Tamils. Other Tamil communities, such as those in South Africa and Fiji, no longer speak Tamil as a first language, but still retain a strong Tamil identity, and are able to understand the language, while most elders speak it as a first language. A large emigration also began in the 1980s, as Sri Lankan Tamils sought to escape the ethnic conflict there. These recent emigrants have most often fled to ऑस्ट्रेलिया, युरोप, North America and Southeast Asia. Today, the largest concentration of Tamils outside southern Asia is in Toronto, Canada. Many young Tamil professionals from India have also immigrated to Europe and the United States in recent times in search of better opportunities. These new immigrant communities have established cultural associations to protect and promote Tamil culture and language in their adopted homes. Tamils have strong feelings towards the Tamil language, which is often venerated in literature as "Tamil̲an̲n̲ai", "the Tamil mother". It has historically been, and to large extent still is, central to the Tamil identity. Like the other languages of South India, it is a Dravidian language, unrelated to the Indo-European languages of northern India. The language has been far less influenced by Sanskrit than the other Dravidian languages, and preserves many features of Proto-Dravidian, though modern-day spoken Tamil in Tamil Nadu, freely uses loanwords from Sanskrit and English. Tamil literature is of considerable antiquity, and is recognised as a classical language by the government of India. Classical Tamil literature, which ranges from lyric poetry to works on poetics and ethical philosophy, is remarkably different from contemporary and later literature in other Indian languages, and represents the oldest body of secular literature in South Asia. Notable works in classical Tamil literature include the Tirukkural, by Tiruvalluvar, the five great Tamil epics, and the works of Auvaiyar. Modern Tamil literature is diverse. It includes Indian Nationalism, in the works of Subramanya Bharathi; historical romanticism, by Kalki Krishnamurthy; radical and moderate social realism, by Pudhumaipithan and Jayakanthan; and feminism, by Malathi Maithri and Kutti Revathi. Sujatha Rangarajan, an author whose works range from romance novels to science fiction, is one of the most popular modern writers in Tamil. Sri Lankan Tamil literature has produced several works reflecting the civilian tragedy caused by decades of war. There is also an emerging diaspora literature in Tamil. There are a number of regional dialects in use by the Tamil people. These dialects vary among regions and communities. Tamil dialects are mainly differentiated by the disparate phonological changes and sound shifts that have evolved from Old Tamil. Although most Tamil dialects do not differ significantly in their vocabulary, there are a few exceptions. The dialects spoken in Sri Lanka retain many words that are not in everyday use in India, and use many other words slightly differently. The dialect of the Iyers of Palakkad has a large number of Malayalam loanwords, has been influenced by Malayalam syntax, and has a distinct Malayalam accent. The Sankethi, Hebbar, and Mandyam dialects, the former spoken by groups of Tamil Iyers, and the latter two by Vaishnavites who migrated to Karnataka in the 11th century, retains many Vaishnavite religious and spiritual values. The Tamil spoken in चेन्नई infuses English words, and is called Madras Bashai (Madras language). Most traditional Tamil art is religious in some form and usually centres on Hinduism, although the religious element is often only a means to represent universal—and, occasionally, humanist—themes. The most important form of Tamil painting is Tanjore painting, which originated in Thanjavur in the ninth century. The painting's base is made of cloth and coated with zinc oxide, over which the image is painted using dyes; it is then decorated with semi-precious stones, as well as silver or gold thread. A style which is related in origin, but which exhibits significant differences in execution, is used for painting murals on temple walls; the most notable example are the murals on the Kutal Azhakar and Meenakshi temples of Madurai, the Brihadeeswarar temple of Tanjore. Tamil art, in general, is known for its stylistic elegance, rich colours, and attention to small details. The Brihadeshswara Temple at Thanjavur, also known as the Great Temple, built by Rajaraja Chola I. Tamil dynasties were patrons of Hinduism and the arts. As with painting, these sculptures show a fine eye for detail; great care is taken in sculpting the minute details of jewellery, worn by the subjects of the sculpture. The lines tend to be smooth and flowing, and many pieces skillfully capture movement. The cave sculptures at Mamallapuram are a particularly fine example of the technique, as are the bronzes of the Chola period. A particularly popular motif in the bronzes was the depiction of Shiva as Nataraja, in a dance posture with one leg upraised, and a fiery circular halo surrounding his body. Tamil temples were often simply treated as sculptures on a grand scale. The temples are most notable for their high spires, known as Gopura, consisting of a number of stepped levels, and the vimanam, which rises above the sanctum sanctorum. During the Chola period, the vimanams had more prominence, as seen in the Brihadīsvara temple of Thanjavur. During the Nayak period, the spires became progressively more elaborate and ornate, as exemplified by the Meenakshi Temple in Madurai, while the vimanam became much smaller. From the 13th century onwards, the entrance gates to the temples, called gopurams in Tamil, also began to grow bigger, and more elaborate. The temples at Chidambaram and Srirangam have particularly impressive gopurams, covered with sculptures and reliefs of various scenes and characters from Hindu mythology. As with Indian art in general, Tamil art does not traditionally aspire to portraiture or realism. Much more emphasis is placed on the representation of ideal prototypes, and on depicting the symbols with which the theme of the artistic work is associated. This means that small details, such as the direction which a hand faces, the animals or trees portrayed, or the time of day depicted, are often of critical importance to understanding the meaning of a work of art. The traditional Tamil performing arts have ancient roots. The royal courts and temples have been centres for the performing arts since the classical period, and possibly earlier. Descriptions of performances in classical Tamil literature and the Natya Shastra, a Sanskrit treatise on the performing arts, indicate a close relationship between the ancient and modern artforms. The aim of a performance in Tamil tradition, is to bring out the rasa, the flavor, mood, or feeling, inherent in the text, and its quality is measured by the extent to which it induces the mood in the audience. Tamil shares a classical musical tradition, called carnatic music, with the rest of South India. It is primarily oriented towards vocal music, with instruments functioning either as accompaniments, or as imitations of the singer's role. Ancient Tamil works, such as the Cilappatikaram, describe a system of music that includes old Carnatic modes, and a seventh-century Pallava inscription at Kudimiyamalai contains one of the earliest surviving examples of Indian music in notation. Modern Carnatic music is organized around the twin notions of melody types (rāgam), and cyclical rhythm types (thāḷam). Unlike the northern Hindustani music tradition, carnatic music is almost exclusively religious. In sharp contrast with the restrained and intellectual nature of carnatic music, Tamil folk music tends to be much more exuberant. Popular forms of Tamil folk music include the Villuppattu, a form of music performed with a bow, and the Naattupurapaattu, ballads that convey folklore and folk history. The dominant classical dance amongst Tamils is Bharatanatyam. Bharatanatyam is performative, rather than participative. The dance is an exposition of the story contained in a song, and is usually performed by one performer on stage, with an orchestra of drums, a drone, and one or more singers backstage. The story is told through a complicated combination of mudras (hand gestures), facial expressions, and body postures. Dancers used to be exclusively female, but the dance now also has several well-known male practitioners. The most notable of Tamil folk dances is karakattam. In its religious form, the dance is performed in front of an image of the goddess Mariamma. The dancer bears, on his or her head, a brass pot filled with uncooked rice, decorated with flowers and surrounded by a bamboo frame, and tumbles and leaps to the rhythm of a song without spilling a grain. Karakāṭṭam is usually performed to a special type of song, known as temmanguppattu, a folk song in the mode of a lover speaking to his beloved, to the accompaniment of a nadaswaram and melam. Other Tamil folk dances include mayilattam, where the dancers tie a string of peacock feathers around their waists; oyilattam, danced in a circle while waving small pieces of cloth of various colors; poykkal kuthiraiyaattam, in which the dancers use dummy horses; manaattam, in which the dancers imitate the graceful leaping of deer; paraiyattam, a dance to the sound of rhythmical drumbeats; and thippanthattam, a dance involving playing with burning torches. The kuravanci is a type of dance-drama, performed by four to eight women. The drama is opened by a woman playing the part of a female soothsayer of the kurava tribe(people of hills and mountains), who tells the story of a lady pining for her lover. The therukoothu, literally meaning "street play", is a form of village theater or folk opera. It is traditionally performed in village squares, with no sets and very simple props. The performances involve songs and dances, and the stories can be either religious or secular. The performances are not formal, and performers often interact with the audience, mocking them, or involving them in the dialogue. Therukkūthu has, in recent times, been very successfully adapted to convey social messages, such as abstinence and anti-caste criticism, as well as information about legal rights, and has spread to other parts of India. The village of Melattur, in Tamil Nadu, has a special type of performance, called the bhagavata-mela, in honour of the local deity, which is performed once a year, and lasts all night. Tamil Nadu also has a well developed stage theater tradition, which has been heavily influenced by western theatre. A number of theatrical companies exist, with repertoires including absurdist, realist, and humorous plays. Both classical and folk performing arts survive in modern Tamil society. Tamil people in Tamil Nadu are also passionate about films. The Tamil film industry, commonly dubbed Kollywood, is the second-largest film industry in India. Tamil cinema is appreciated both for its technical accomplishments, and for its artistic and entertainment value. Several actors dominated the early years of the cinema including Sivaji Ganesan, Gemini Ganesan, and several others. As in the past, a small number of actors continue to dominate in Kollywood movies. Several Tamil actresses have made their mark very strong in Bollywood over the years and have often dominated the scene, such as Vyjayanthimala, Rekha Ganesan, the original golden girl Hema Malini,Meenakshi Sheshadri, Vidya Balan, and Sridevi. The overwhelming majority of Tamil films contain song and dance sequences, and Tamil film music is a popular genre in its own right, often liberally fusing elements of carnatic, Tamil folk, North Indian styles, hip-hop, and heavy metal. Famous music directors of the late 20th century included M. S. Viswanathan, Ilayaraaja, and A. R. Rahman. About 88% of the population of Tamil Nadu are Hindus. Muslims and Christians account for 6% and 5.5% respectively. Most of the Christians are Roman Catholics. The majority of Muslims in Tamil Nadu speak Tamil, with less than 40% reporting Urdu as their mother tongue. Tamil Jains number only a few thousand now. Atheist, rationalist, and humanist philosophies are also adhered by sizable minorities, as a result of Tamil cultural revivalism in the twentieth century, and its antipathy to what it saw as Brahminical Hinduism. The most popular deity is Murugan, also known as Karthikeya, the son of Siva. The worship of Amman, also called Mariamman, is thought to have been derived from an ancient mother goddess, is also very common. Kan̲n̲agi, the heroine of the Cilappatikār̲am, is worshipped as Pattin̲i by many Tamils, particularly in श्रीलंका. There are also many followers of Ayyavazhi in Tamil Nadu, mainly in the southern districts. In addition, there are many temples and devotees of Vishnu, Siva, Ganapathi, and the other Hindu deities. The most important Tamil festivals are Pongal, a harvest festival that occurs in mid-January, and Varudapirappu, the Tamil New Year, which occurs around mid-April. 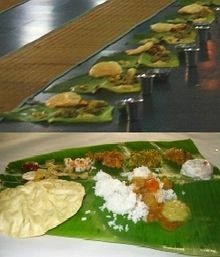 Both are celebrated by almost all Tamils, regardless of religion. The Hindu festival Deepavali is celebrated with fanfare; other local Hindu festivals include Thaipusam, Panguni Uttiram, and Adiperukku. While Adiperukku is celebrated with more pomp in the Cauvery region than in others, the Ayyavazhi Festival, Ayya Vaikunda Avataram, is predominantly celebrated in the southern districts of Kanyakumari, Tirunelveli, and Thoothukudi. In rural Tamil Nadu, many local deities, called aiyyan̲ārs, are thought to be the spirits of local heroes who protect the village from harm. Their worship often centers around nadukkal, stones erected in memory of heroes who died in battle. This form of worship is mentioned frequently in classical literature and appears to be the surviving remnants of an ancient Tamil tradition. Christianity is believed to have come to Tamil Nadu with the arrival of St. Thomas the apostle, and the number of Tamil Christians grew during the colonial period. Most Tamil Christians are Catholic and Protestant. Islam started flourishing in Tamilnadu after the arrival of Sulthan Syed Ibrahim Shaheed, descendant of Prophet Muhammmad who came from Madinah, Saudi Arabia during 12th century. His grave is found in Erwadi dargah in Ramanathapuram district. Tamil Muslims are mostly either mainstream Sunni or Sufi. Each geographical area where Tamils live has developed its own distinct variant of the common dishes plus a few dishes distinctly native to itself. The Chettinad region, comprising of Karaikudi and adjoining areas, is known for both traditional vegetarian dishes, like appam, uthappam, paal paniyaram, and non-vegetarian dishes, made primarily using chicken. Rice, the major staple food in most of Tamil, is usually steamed and served with about two to six accompanying items, which typically include sambar, dry curry, rasam, kootu, and thayir (curd) or moru (whey or buttermilk). Tiffin or Light meals usually include one or more of Pongal, Dosai, idli, Vadai along with sambar and Chutney is often served as either breakfast or as an evening snack. Ghee Clarified butter called neyyi in Tamil, is used to flavor the rice when eaten with dhal or sambar, but not with curds or buttermilk. Morkulambu, a dish which can be spiced with moru, is also popular with steamed rice. Various martial arts including Kuttu Varisai, Varma Kalai, Silambam Nillaikalakki, Maankombukkalai (Madhu) and Kalarippayattu, are practised in Tamil Nadu and केरळ. The weapons used include Silambam, Maankombukkalai, Yeratthai Mulangkol (double stick), Surul Pattai (spring sword), Val Vitchi (single sword), and Yeretthai Val (double sword). The ancient Tamil art of unarmed bullfighting, popular amongst warriors in the classical period, has also survived in parts of Tamil Nadu, notably Alanganallur near Madurai, where it is known as Jallikaṭṭu or mañcuviraṭṭu and is held once a year around the time of the Pongal festival. The global spread of the Tamil diaspora has hindered the formation of formal pan-Tamil institutions. The most important national institutions for Tamils have been the governments of the states where they live, particularly the government of Tamil Nadu and the government of Sri Lanka [ संदर्भ हवा ], which have collaborated in developing technical and scientific terminology in Tamil and promoting its use since the 1950s. In श्रीलंका, Tamil politics was dominated by the federalist movements, led by the Federal Party (later the Tamil United Liberation Front), until the early 1980s. In the 1980s, the political movement for self determination in an autonomous Tamil Eelam was largely succeeded by a violent military campaign conducted by several militant groups. The Liberation Tigers of Tamil Eelam, which emerged as the most important force amongst these groups in the 1990s, controlled a third of Sri Lanka, and had attempted to establish its own government there. In the 1960s, the government of Tamil Nadu held a World Tamil Conference, which has continued to meet periodically since then. In 1999, a World Tamil Confederation was established to protect and foster Tamil culture and further a sense of togetherness amongst Tamils in different countries. The Confederation has since adopted a Tamil flag and Tamil song to act as trans-national symbols for the Tamil people; the words on the flag quote the opening line of a poem by the classical poet Kanian Poongundranaar, and means "Everyone is our kin; Everyplace is our home". ^ M. B. Emeneau (Jan-March 1956). "India as a lingustic Area". Language 32 (1): 5. डी.ओ.आय.:10.2307/410649. 2007-05-03 रोजी पाहिले. "Of the four literary Dravidian languages, Tamil has voluminous records dating back at least two millennia"
^ Burton Stein (November 1977). "Circulation and the Historical Geography of Tamil Country". The Journal of Asian Studies 37 (1): 7–26. डी.ओ.आय.:10.2307/2053325. 2007-05-03 रोजी पाहिले. "Tamil is one of the two longest-surviving classical languages in India." ^ Southworth, Franklin C. (1998). "On the Origin of the word tamiz". International Journal of Dravidial Linguistics 27 (1): 129–132. ^ Zvelebil, Kamil V. (1992). Companion Studies to the history of Tamil literature. Leiden: E.J. Brill. at pp. x-xvi. ^ John, Vino (2006-01-27). "Reading the past in a more inclusive way: Interview with Dr. Sudharshan Seneviratne". Frontline. 2008-07-09 रोजी पाहिले. "But Indian/south Indian history/archaeology has pushed the date back to 1500 B.C., and in Sri Lanka, there are definitely good radiometric dates coming from Anuradhapura that the non-Brahmi symbol-bearing black and red ware occur at least around 900 B.C. or 1000 B.C." ^ K. De B. Codrington (October 1930). "Indian Cairn- and Urn-Burials". Man 30 (30): 190–196. डी.ओ.आय.:10.2307/2790468. 2007-05-03 रोजी पाहिले. "...at Perambair & Pallavaram a second type of burial exists in legged urns..."
^ K. De B. Codrington (October 1930). "Indian Cairn- and Urn-Burials". Man 30 (30): 194. 2007-05-03 रोजी पाहिले. "It is necessary to draw attention to certain passages in early Tamil literature which throw a great deal of light upon this strange burial ceremonial..."
↑ a b c K. Sivathamby (December 1974). "Early South Indian Society and Economy: The Tinai Concept". Social Scientist 3 (5): 20–37. डी.ओ.आय.:10.2307/3516448. 2007-05-03 रोजी पाहिले. "Those who ruled over small territories were called Kurunilamannar. The area ruled by such a small ruler usually corresponded to a geographical unit. In Purananuru a number of such chieftains are mentioned;.."
^ "Grand Anaicut". Encyclopædia Britannica. 2006-05-03 रोजी पाहिले. .
↑ a b M. G. S. Narayanan (September 1988). "The Role of Peasants in the Early History of Tamilakam in South India". Social Scientist 16 (9): 17–34. डी.ओ.आय.:10.2307/3517170. 2007-05-03 रोजी पाहिले. ^ "Pandya Dynasty". Encyclopedia Britannica. 2007-05-03 रोजी पाहिले. ^ "Archaeologists Uncover Ancient Maritime Spice Route Between India, Egypt". Veluppillai, Prof. A.,. dickran.net. 2006-11-15 रोजी पाहिले. ^ The term Periplus refers to the region of the eastern seaboard of South India as Damirica - "The Periplus of the Erythraean Sea: Travel and Trade in the Indian Ocean by a Merchant of the First Century". Ancient History source book. .
↑ a b The Indian Geographical Journal. Indian Geographical Society. 1941. पान क्रमांक 69. "These Kalabhras were thrown out by the powerful Pallava dynasty in the fourth century AD ... this period is aptly known as "Dark Ages" of Tamil Nadu. ..."
^ Marilyn Hirsh (1987). "Mahendravarman I Pallava: Artist and Patron of Mamallapuram". Artibus Asiae 48 (1/2): 122. 2007-05-03 रोजी पाहिले. ^ Maloney, Clarence. "Maldives People". 2008-06-22 रोजी पाहिले. ↑ a b c d e Smith, Vincent Arthur (1904). The Early History of India. The Clarendon press. pp. 336–358. ^ V., Venkayya (1907). Annual Report 1906–7, Archaeological Survey of India. Delhi: reprint Swati Publications. pp. 217–243. ^ Chandra, Satish (1997). Medieval India: From Sultanat to the Mughals (1206–1526) - I. Har-Anand Publications. पान क्रमांक 250. आय.एस.बी.एन. 8124110646. "...Starting from the Tamil lands under the Pallava kings, bhakti spread to different parts of south India..."
^ Srivastava, Balram (1973). Rajendra Chola. National Book Trust, India. पान क्रमांक 80. "The mission which Rajendra sent to China was essentially a trade mission,..."
^ D. Curtin, Philip (1984). Cross-Cultural Trade in World History. Cambridge University Press. पान क्रमांक 101. आय.एस.बी.एन. 0521269318. ^ Freeman, Rich (February 1998). "Rubies and Coral: The Lapidary Crafting of Language in केरळ". The Journal of Asian Studies 57 (1): 38–65. डी.ओ.आय.:10.2307/2659023. at pp. 41-43. ^ "Malayalam first appeared in writing in the vazhappalli inscription which dates from about 830 CE." "Writing Systems and Languages of the world". Omniglot. Omniglot.com. 2006-11-15 रोजी पाहिले. ^ "Vedda". Encyclopedia Britannica Online (London: Encyclopedia Britannica). 2008. 2008-06-23 रोजी पाहिले. ^ Subramanian, T.S. (2006-01-27). "Reading the past in a more inclusive way: Interview with Dr. Sudharshan Seneviratne". Frontline. 2008-07-09 रोजी पाहिले. ↑ a b Spencer, George W. "The politics of plunder: The Cholas in eleventh century Ceylon". The Journal of Asian Studies (Association for Asian Studies) 35 (3): 408. ^ The 1681 CE map by Robert Knox demarcates the then existing boundaries of the Tamil country in An Historical Relation of the Island Ceylon. In 1692 CE, Dutch artist Wilhelm Broedelet crafted an engraving of the map: Coylat Wannees Land, where the Malabars live – An Historical Relation of the Island of Ceylon, Atlas of Mutual Heritage, Netherlands. ^ Knox, Robert (1681). An Historical Relation of the Island Ceylon. लंडन: Robert Chiswell. पान क्रमांक 166. 2596825. ^ Vinoj Kumar, P.C. "Tamil Nadu at the Crossroads". www.tehelka.com. 2006-12-02 रोजी पाहिले. ↑ a b Department of Census and Statistics of Sri Lanka. "Population by Ethnicity according to District" (PDF). statistics.gov.lk. 2007-05-03 रोजी पाहिले. ^ V. Suryanarayan (2001). "In search of a new identity". Frontline. 2008-07-02 रोजी पाहिले. ^ Hoole, Ranjan; Sritharan, Kopalasingam (2001). "Missed Opportunities and the Loss of Democracy: The Disfranchisement of Indian Tamils: 1948-49". UTHR. 2008-06-26 रोजी पाहिले. ^ Christophe Z Guilmoto. "The Tamil Migration Cycle 1830–1950". Tamilnation.org. 2006-12-04 रोजी पाहिले. ^ "TAMIL DIASPORA - A TRANS STATE NATION". Tamilnation.org. 2006-12-04 रोजी पाहिले. ^ McDowell, Chris (1996). A Tamil Asylum Diaspora: Sri Lankan Migration, Settlement and Politics in Switzerland. New York: Berghahn Books. आय.एस.बी.एन. 1571819177. ^ "Tamil Studies - History". Tamil Studies at the University of Toronto. The University of Toronto. 2006-12-04 रोजी पाहिले. ^ Kailasapathy, K. (1979). "The Tamil Purist Movement: A Re-Evaluation". Social Scientist 7 (10): 23–51. डी.ओ.आय.:10.2307/3516775. . ^ See the dialects listed at "Ethnologue report for language code:tam". 2008-04-23 रोजी पाहिले. ^ "Tanjore - Painting". tanjore.net. Tanjore.net. 2006-12-04 रोजी पाहिले. ^ "SHILPAIC LITERATURE OF THE TAMILS". V. Ganapathi. INTAMM. 2006-12-04 रोजी पाहिले. ^ Aschwin Lippe (December 1971). "Divine Images in Stone and Bronze: South India, Chola Dynasty (c. 850–1280)". Metropolitan Museum Journal 4: 29–79. डी.ओ.आय.:10.2307/1512615. 2007-05-03 रोजी पाहिले. "The bronze icons of Early Chola period are one of India's greatest contribution to world art..."
^ "Heaven sent: Michael Wood explores the art of the Chola dynasty". Royal Academy, UK. 2007-04-26 रोजी पाहिले. ^ Berkson, Carmel (2000). "II The Life of Form pp29–65". The Life of Form in Indian Sculpture. Abhinav Publications. आय.एस.बी.एन. 8170173760. ^ "Tamil Art & Architecture". Dr.T.V.Mahalingam, Second International Conference Seminar of Tamil Studies, Chennai, Tamil Nadu, January 1968. Tamilnation.org. 2006-12-07 रोजी पाहिले. ↑ a b c Nirmala Ramachandran. "Bharata Natyam - Classical Dance of the Ancient Tamils". paper presented at First International Conference Seminar of Tamil Studies, Kuala Lumpur, Malaysia 1966. Tamilnation.org. 2006-12-05 रोजी पाहिले. ^ Widdess, D. R. (1979). "The Kudumiyamalai inscription: a source of early Indian music in notation". In Picken, Laurence. Musica Asiatica 2. London: Oxford University Press. pp. 115–150. ^ "Tamil Art History". eelavar.com. 2006-12-05 रोजी पाहिले. ^ "Striving hard to revive and refine ethnic dance form". hindu.com. 2006-12-05 रोजी पाहिले. ^ "Bhagavata mela". The Hindu, 30 April 2004. hindu.com. 2006-12-05 रोजी पाहिले. ^ "The states they're in". Guardian, 26 November 2006. guardian.com. 2006-12-05 रोजी पाहिले. ^ Jain, Dhanesh (2003). "Sociolinguistics of the Indo-Aryan languages". In Cardona, George; Jain, Dhanesh. The Indo-Aryan Languages. Routledge language family series. London: Routledge. pp. 46–66. आय.एस.बी.एन. 0700711309. at p. 57. ^ Total number of Jains in Tamil Nadu was 88,000 in 2001. Directorate of Census Operations - Tamil Nadu. "Census". 2006-12-05 रोजी पाहिले. ^ M. Shanmugam Pillai. "Murukan in Cankam Literature: Veriyattu Tribal Worship". First International Conference Seminar on Skanda-Murukan in Chennai, 28-30 December 1998. This article first appeared in the September 1999 issue of The Journal of the Institute of Asian Studies. 2006-12-06 रोजी पाहिले. ^ "Principles and Practice of Hindu Religion". Hindu Heritage Study Program. 2006-12-05 रोजी पाहिले. ^ PK Balachandran. "Tracing the Sri Lanka-केरळ link". Hindustan Times, 23 March 2006. 2006-12-05 रोजी पाहिले. ^ "'Hero stone' unearthed". The Hindu, 22 July 2006. 2006-12-05 रोजी पाहिले. ^ "Redefining secularism". The Hindu, 18 March 2004. 2006-12-05 रोजी पाहिले. ^ "Google books version of the book A Western Journalist on India: The Ferengi's Columns by François Gautier". 2007-05-24 रोजी पाहिले. ^ "NY Times: The ritual dates back as far as 2,000 years...". 2007-05-24 रोजी पाहिले. ^ World Tamil Confederation. Wrold Tamils National Song. Retrieved 30 November 2006.